You’ve only got one life, use it wisely. 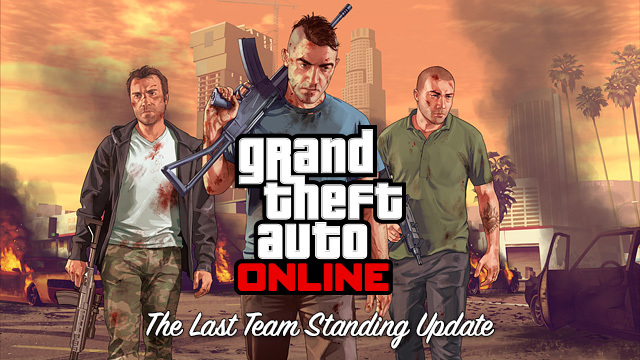 The Last Team Standing Update introduces powerful weaponry, tactical gear, high-performance vehicles and all-new Creator features to celebrate Grand Theft Auto Online’s most high stakes mode. Today's update features 10 new Last Team Standing Jobs spread out across Los Santos and Blaine County plus additional gameplay changes to allow for a greater range of game types and enhanced matchmaking. Take enemies down with brutal force when you equip the new Heavy Shotgun. Visit Ammu-nation to expand your arsenal with a pair of potent new firearms: the Heavy Shotgun delivers serious stopping power in close quarters, and the Marksman Rifle can drop targets from long range with lethal accuracy. 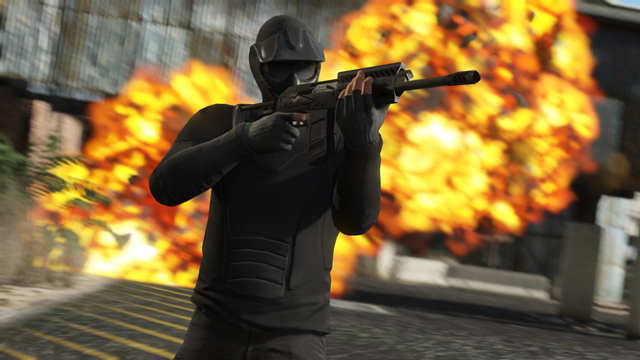 Plus, suit up your team with new Outfits, along with new Masks, Tops, Pants, Bulletproof Helmets and more. 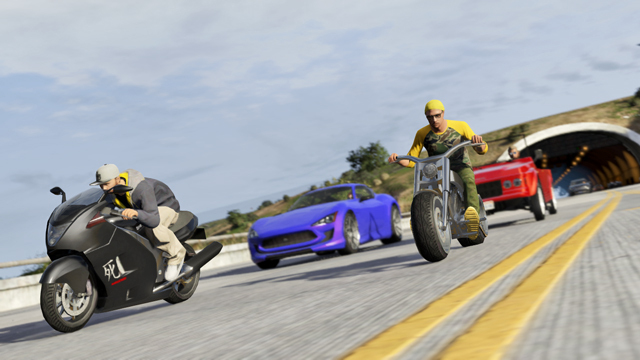 Rule the road with two new Motorcycles – the Shitzu Hakuchou sport bike and the LCC Innovation chopper. Or, for those with more sophisticated tastes, show off your elite style in the fiery Lampadati Furore GT. The Hakuchou and Innovation lead the Furore GT here on the Great Ocean Highway. This update also presents the launch of the Last Team Standing Creator Mode. 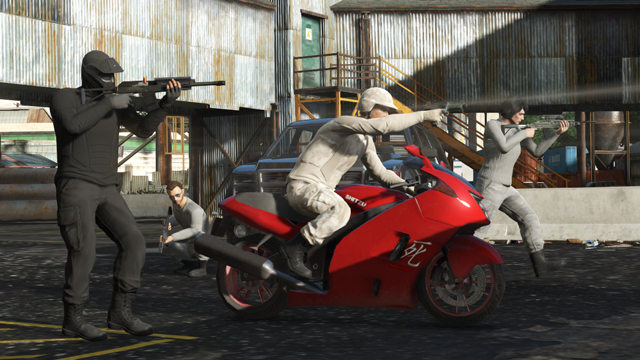 You can now design original GTA Online Jobs in this strategic and deadly mode that pits teams against one another with no second chances. This Creator update features a new option for building even more dynamic matches across other modes – with the ability to add Rounds to Captures and Last Team Standing Jobs. Or raise the stakes by adding rounds to Rockstar Created LTS, Captures and Versus Missions. And be sure to take advantage of the new Forced Weapon setting, allowing you to limit weapons for specific options like “Snipers-Only”. All new tactical gear including bullet proof helmets are now available in shops. Also part of today’s automatic update, we’ve now globally synchronized the Job voting screens, allowing us to merge sessions where players have voted on the same Job. This, combined with the on-call matchmaking introduced in a previous update allows players to find the Jobs they like more easily, and to stay with as many like-minded players as possible. There are lots of additional changes and tweaks to GTA Online, all listed out in detail at the Rockstar Support site. These include the ability to now go on-call for activities like Arm-Wrestling, Darts or Golf or to quick match with your friends for those activities using the option in your phone, as well as an increase in the maximum bet limit from GTA$2,500 to GTA$10,000. 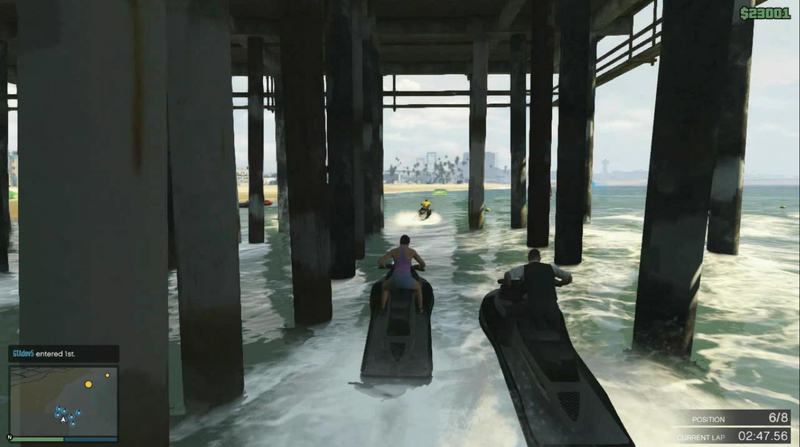 To download today's update, just switch on your online-connected PS3 or Xbox 360 and start GTAV. From there, you'll be prompted to download the automatic update (1.17). Look for the details of our Last Team Standing Update Event Weekend to hit the Newswire later today, and stay tuned for more info on future updates to GTA Online. If you're still standing, join us in the forums! Last Team Standing Update Now Available - New Weapons, Cars, Clothes. Also included is the LTS Creator Tool.